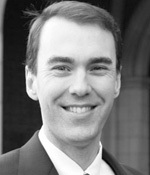 Dr. Devine is the Associate Professor of Divinity at Beeson Divinity School. 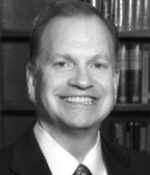 Formerly Dr. Devine was a professor of Theology at Midwestern Seminary in Kansas City, MO. It's because of that that I have an affinity for Dr. Devine having taken him for theology classes while he was still in Kansas City. 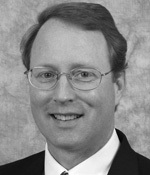 Dr. Devine is known as something of a Southern Baptist expert on the topic of the Emerging Church. Accordingly Devine was given the topic "Emergent or Emerging: Questions for Southern Baptists and North American Evangelicals". Beginning with a bit of personal history, Devine recounted his time as pastor of First Calvary Baptist Church in downtown Kansas City which was transformed from a traditional, growing church of over 1,000 in attendance in downtown Kansas City to the point where it was running less than 50 with a dying congregation in a neighborhood that was radically different than the one in which it had originally found itself. As a result of it, the congregation chose to merge with an emerging, Southern Baptist congregation from St. Louis who is no replanting the congregation using a radically different name & model than the church previously employed. Moving from there Devine began to highlight specific aspects of the emerging church movement. Touching on topics like contextualization, appropriate communication, and transparent, authentic community Devine attempted to define the movement in both positive and negative terms. Dr. Devine spent some time then delineating between the two various streams of the Emerging Church Movement that he sees. He refers to them as the doctrine wary, doctrine averse stream which is seen in the Emergent Village crowd, highlighted by men like Tony Jones, Brian McLaren and others. From there he also considered the doctrine friendly stream headlined by people like Mark Driscoll, Matt Chandler and J.D. Greear. Ultimately Devine attempted to point out that like many movements, the EC movement has some valid questions and answers as well as providing helpful critique for the areas in which they have walked away from biblical, orthodox theology and practice. Maybe my favorite quote from Devine's talk today came during the time he was warning us not to simply view the EC movement as a rebellion of young adults. In fact, he said it this way, "Church planting is not child’s play; neither is church-replanting. If this is rebellion, it is an impressive way to rebel." In a message that was somewhat reminiscent of his "Axioms of a Great Commission Resurgence" message, but which was also much more refined, and I thought, more pointed than that previous message. Akin began by pointing out 4 events over the past few months that have led us to this day; 1. The approval of the Great Commission Resurgence Task Force 2. The forced resignation of Geoff Hammond, 3. The resignation of Jerry Rankin & 4. The resignation of Morris Chapman. Akin supposed that these events may indicate a movement of God happening among us. Akin then began to offer 8 specific points in reference to the future of the SBC. A couple of quotes from Akin that particularly grabbed my attention. "If you doubt the full truthfulness of the Bible, go and join another denomination." - "The lack of urgency in the area of racial diversity is mind boggling." - "Many SBCers are trapped in a time warp & fixated on a culture that disappeared years ago." - Are we distracted by doing many good things, but missing out on doing the best things? No Doubt." & "Theology should drive our cooperation, not tradition." Dr. Lindsay was an interesting speaker, and to be honest I was looking forward to his talk with much anticipation. I had heard much about his book Faith in the Halls of Power and was fascinated to hear what he had to say. Unfortunately he wasn't as compelling as I anticipated. It may very well have been that I was simply full from lunch, at this point, and a bit sleepy, but I had a difficult time tracking with Dr. Lindsay. That being said, in his talk entitled "Denominationalism in the Changing Religious Landscape of North America" Lindsay argued that institutions and organizations are absolutely necessary in the changing North American context. To be honest, he's positing a fairly radical concept in light of a preponderance of statistical data that seems to validate the idea that decentralization is on the rise, not vice versa. Lindsay went on to draw a line but not between liberals and conservatives, instead he drew a line between believers and non-believers and argued that the existence of denominational structures help facilitate the advance of the church and ultimately the Gospel. What was most difficult for me to understand was that he consistently showed stat after stat that highlighted the decline of denominationlism but continued to argue that institutions still matter, with little substantive support for his argument, it seemed to me. He offered some theoretical reasons why denominations still matter, but his arguments still ran up against the pragmatic reality that while they may have some theoretical value, people continue to leave them. 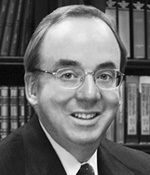 Dr. Dockery has increasingly become one of the most impressive figures in SBC life to me. It is rare to meet such a person who combines a humble spirit with a superior intellect, powerful leadership and yet also continues to embrace cutting edge technology as he pursues greater efficiency and effectiveness. I expected much from Dr. Dockery as we settled in to listen on Thursday night and received even more than I expected. In his message Dr. Dockery provided something of a clarion call to our denomination which I hope will be heard and heeded. In his message Dr. Dockery began with a rather extensive survey of denominationalism. Starting with the Early Church and moving through history until now he provided a very impressive understanding of how we have arrived at this place. What made his talk so impressive, however, was the conclusion of his time when he began to address how we must move forward as a denomination if we are to be effective in the future. He spoke at some length about our need to cooperate and what that cooperation must look like. One of the money quotes, in my opinion, was when he said, "I’m calling for Gospel commonalities that are more important and that supersede our denominational distinctions." The concept of facilitating the work of the church amongst other believers to advance the Kingdom of God was music to my ears! The shift towards Transdenominational networks is the biggest change since the Reformation. Unfortunately we have fostered the Americanization of Christianity, rather than the Christianization of America. Too much Spirit on one side and too much structure on the other can create error. For the most part evangelicals have not done a good job of articulating a theology of the church. Most churches are in rural areas while most people are found in urban/suburban areas. A big mindset change must take place where we don't see ourselves as rivals with other denominations. There are more Christians in Africa today than there are citizens of America. By 2025 the typical Christian will be a woman living in Nigeria or Brazil. We can do missions & evangelism with various denominations but we will do congregational life w/ those whom we agree. May God grant to us a genuine renewal & a renewed spirit of cooperation for the good of the Church & the glory of God.